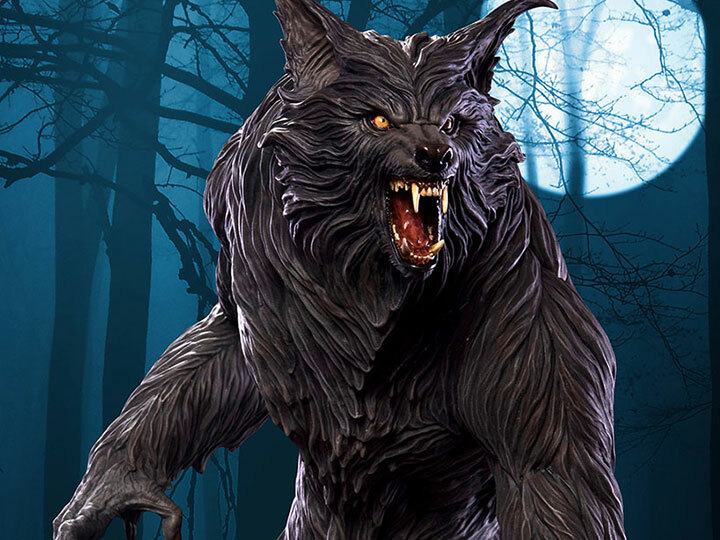 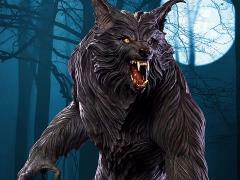 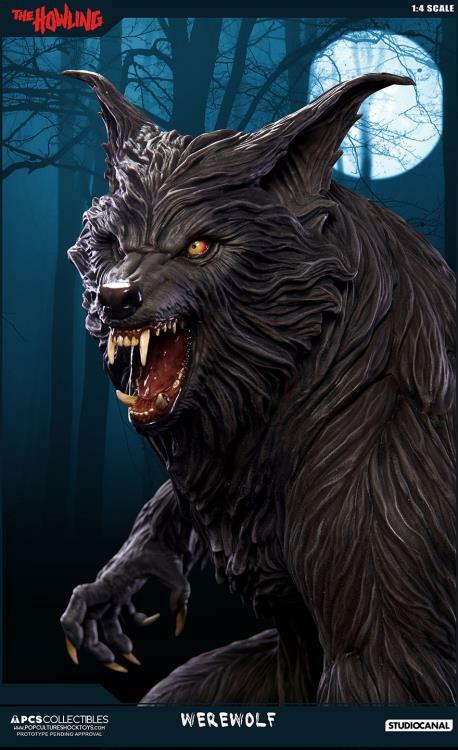 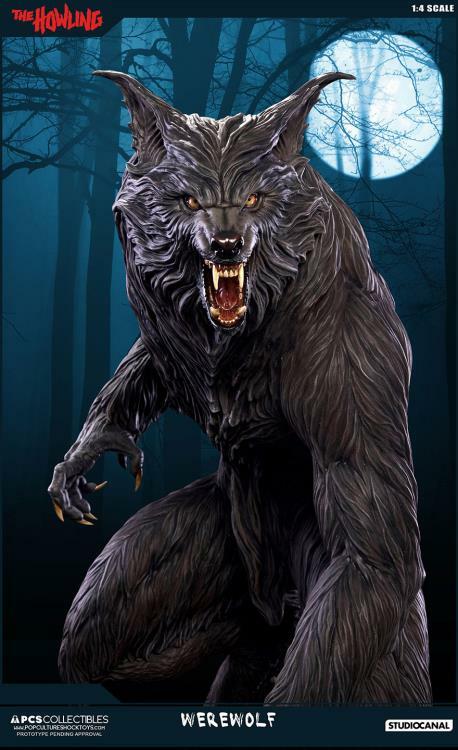 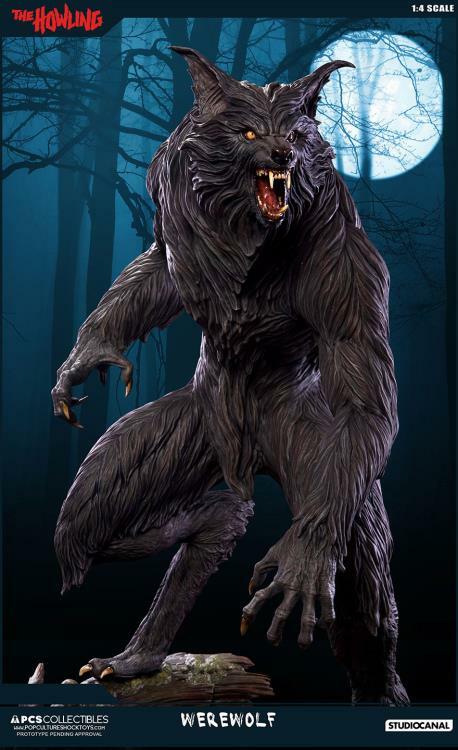 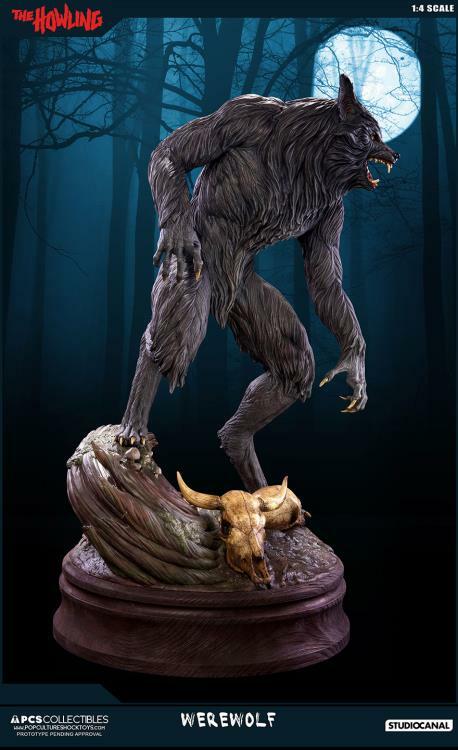 This Werewolf statue is hand crafted in polystone and come with a certificate of authenticity. 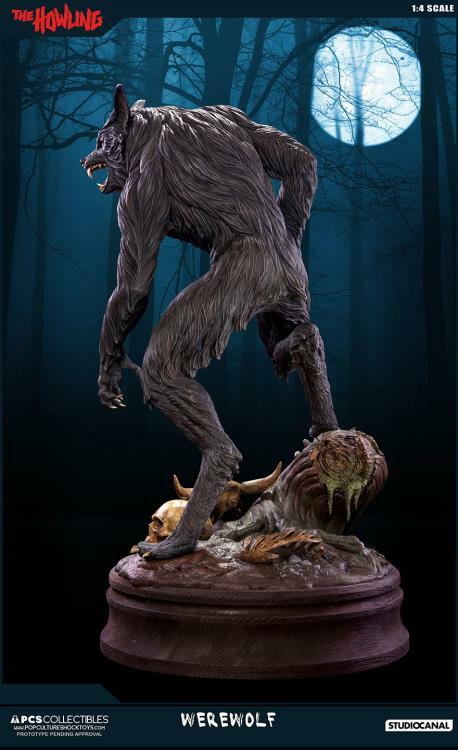 If there was a "Mount Rushmore" of cinematic werewolves, three portraits would be carved into it: Larry Talbot by Jack Pierce, David Kessler by Rick Baker and Eddie Quist by Rob Bottin. 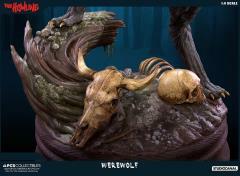 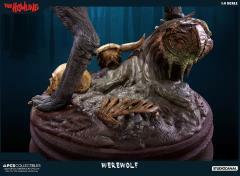 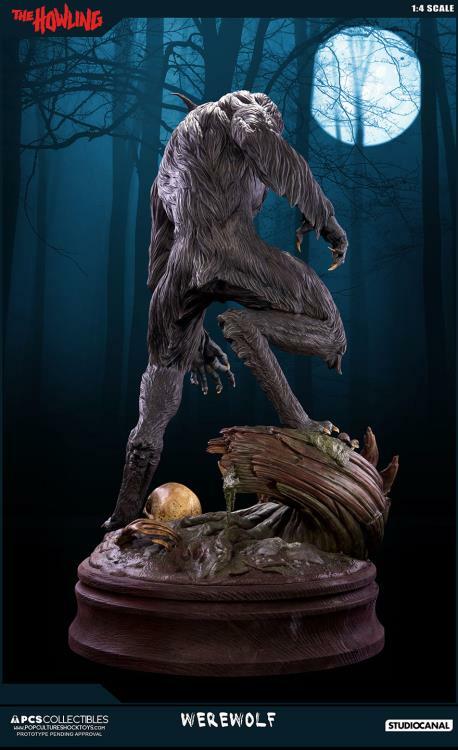 The first two have been merchandised in the past, but now, for the first time ever, PCS Collectibles is proud to present a 1:4 scale statue of Bottin's seminal creature work from The Howling. 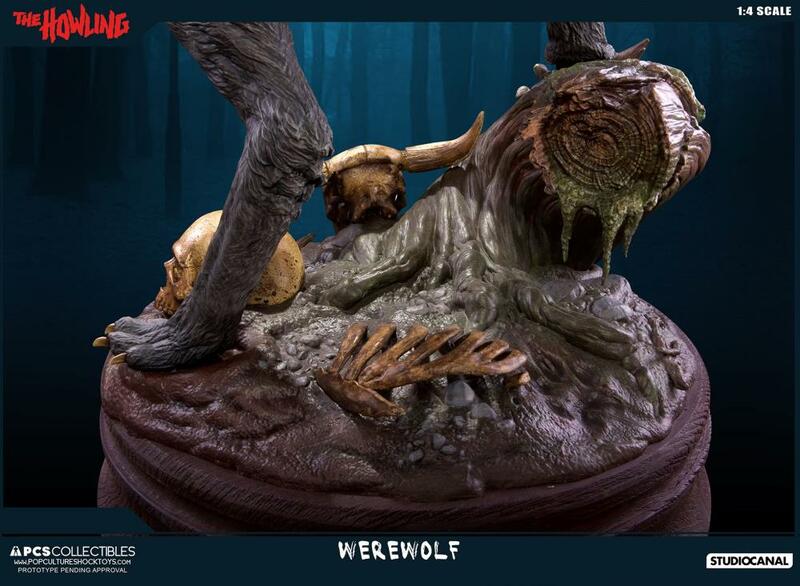 As an accomplished fx artist himself, PCS Collectibles founder Jerry Macaluso has a deep appreciation for the expression of creative skill and imagination cinema makeup can provide, considering it a personal passion.